""One can think of Staples's provocative noise as the opposite of a stereotype, or freedom in sonic form." Writing about the rapper @vincestaples for @nytmag, Jace Clayton (@djrupture) explores the radical act of ending an album in midsentence. 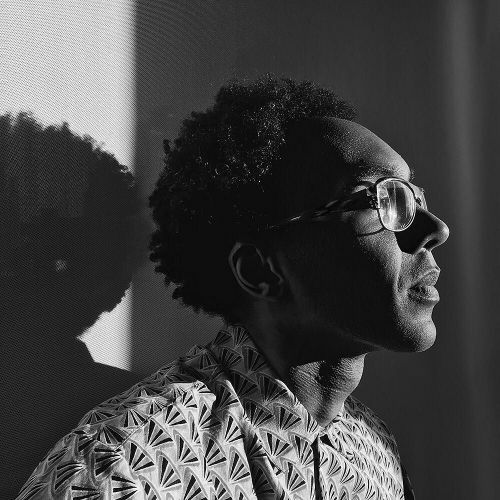 @djrupture, pictured here, is one of 25 contributors featured in @nytmag's music issue. In recent days, @kathyryan1, the magazine's director of photography, photographed a handful of the writers. She made this portrait of @djrupture at the @nytimes building on March 6 at 5:08 p.m. Follow @kathyryan1 this weekend to see more of her portraits. #regram" By nytimes on Instagram.